Robert Reed Publishers, 9781934759394, 256pp. 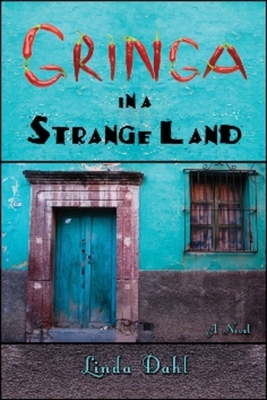 Gringa in a Strange Land brings back the counterculture of the early 70's, an exhilarating and confusing time for so many young people then. Erica Mason, an American woman living in Mexico, is torn between working to become an artist and the lure of the drug culture. Set mostly in the colonial city of Merida in the Yucatan peninsula, the story then moves among Mayan ruins, laid-back beaches and the cities of Belize and Oaxaca. A host of bohemian expats and Mexicans, and the complex character of Mexico itself, infuse this portrait-of-the-artist-as-a-young-American, that culminates in an unexpected resolution. Linda Dahl has written extensively about Latin America, jazz, New Orleans and other topics that interest her over a thirty year career as a published author. She has lived in Ecuador, Brazil, Mexico, and New York and currently lives in an old farmhouse with lots of flowers and pets. A widow, she has a daughter and a stepson.